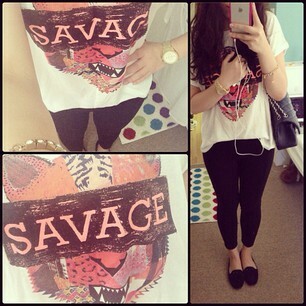 T-shirts are probably one of the most essential items in any girl's closets. It doesn't matter whether you're girly or sporty, you must have at least a few t-shirts, and I'm not talking about those belong to your boyfriend or brother that you wear to bed. I'm a big fan of casual and comfy for everyday kind of events. And so, I have a lot of t-shirts, mostly simple graphic ones. I guess t-shirts are never out of trend not only because you can wear a t-shirt to basically everywhere and any type of casual events, but also because t-shirts aren't just simple, basic items anymore. They come with different type of print and decoration that can easily become a bold statement to show the world your style. I tend to wear active and casual clothing but in a girly kinda way (visit my instagram @ngohgiang) and you'll see what I'm talking about lol. 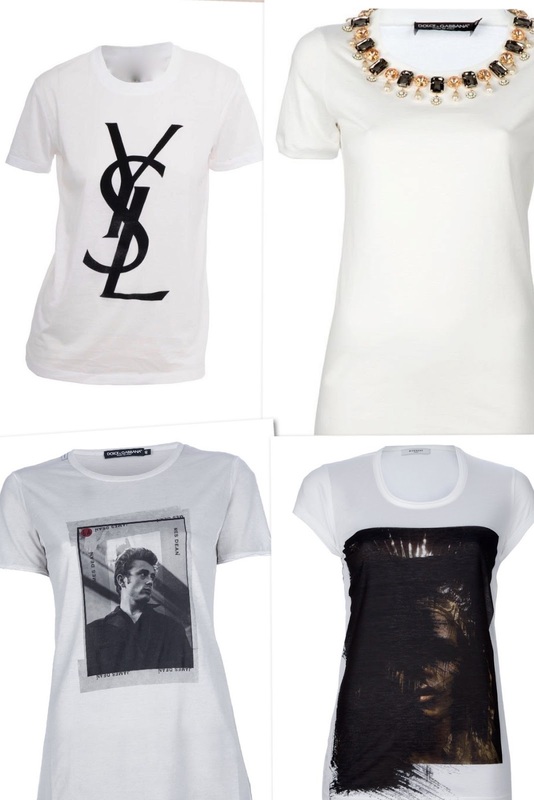 I love white t-shirt with print doesn't matter they are from luxury brands or Zara and H&M kind of brands. More than often I found myself picking up a white t-shirt, maybe because most of my bottoms are dark colour so I tend to choose bright tops or just simply because I have a thing for white tops. :">. 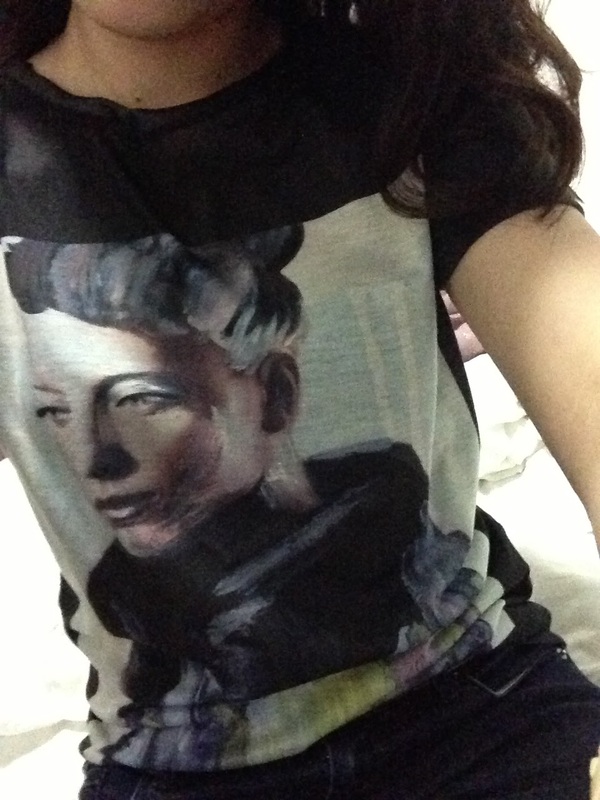 But this Givenchy t-shirt is a die for. T.T I remember back when I first saw this on one of those famous fashion bloggers, I immediately went online and look for it, but it's either out of stock or has no small size left >_<. I put together some sets of what I would wear with my t-shirts. 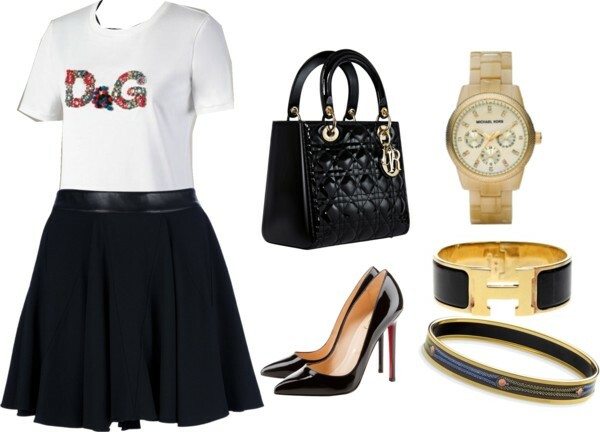 I really mean it when I say they can go with many many things, from a girly elegant look with skirt and heels, to more casual but still chic where you wear t-shirt with jeans and high heels.